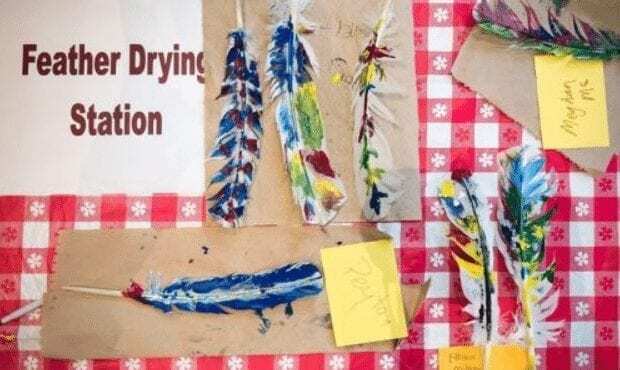 VANCOUVER — Vancouver’s Water Resources Education Center is moving its annual recognition of Native American Heritage month from a Second Saturday event to its own Saturday celebration, set for November 18. Attendance at the popular family-friendly event has grown greatly over the years, and this year’s celebration promises some new features, as well as some past favorites. New this year is a native craft holiday marketplace from 11:30 a.m. to 4:30 p.m., sponsored by Native Vendors United and Sacred Waters Fish Company. The marketplace will feature Native American artists and craftspeople, offering an opportunity for small business vendors, artists and artisans to display and sell their goods and services. Among the returning features is the popular Native Runway, which begins at 1 p.m. The Native Runway is a celebration of regalia, culture, and song. 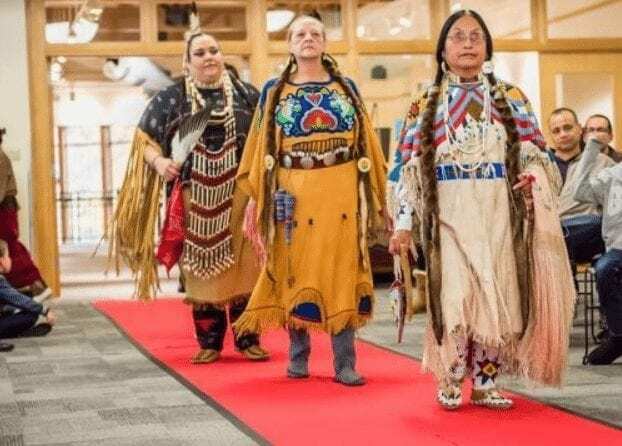 Listen to traditional music as dancers walk a ‘red’ runway in native regalia — clothing and adornment unique to each dancer and his or her heritage. The native dancers will also share their personal stories and invite the entire audience to participate in a friendship dance. The public is invited to join in this community celebration, which is a collaboration between Native American volunteers and Vancouver’s Water Resources Education Center. Families can discover and learn more about the many contributions of Native Americans to the larger American cultural mosaic. Through early 2018, the Water Center will also feature a display showcasing the Cathlapotle Plankhouse, a Chinook dwelling at the Ridgefield National Wildlife Refuge. A special recognition of Native American Cultural Heritage Month will be made during a Proclamation to Vancouver City Council at 6:30 p.m. on Monday, Oct. 23. 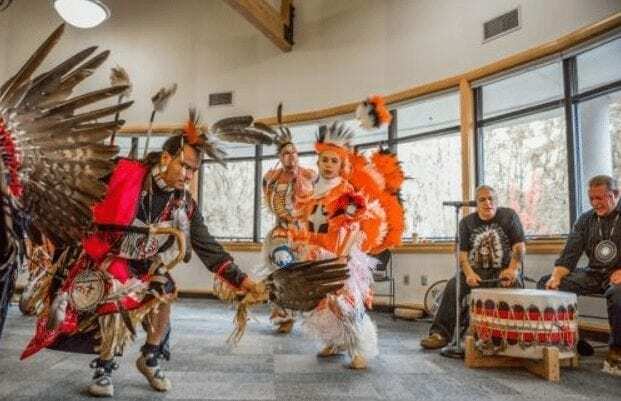 Community members are also invited to attend a Pow Wow from 5 to 10 p.m., Friday, Nov 3, at Clark College’s Gaiser Hall Student Center, highlighting traditions and customs that practice living in harmony with all things. For more information, please visit the Water Center website at www.cityofvancouver.us/watercenter or contact Cory Samia at (360) 487-7111. Overlooking the Columbia River, the City of Vancouver’s Water Resources Education Center offers exhibits, events and educational programs designed to teach us all how to be excellent stewards of water resources and how to use water wisely. The Water Center, a division of the City’s Department of Public Works, is also caretaker of one of the metropolitan area’s few remaining natural Columbia River riparian areas, nearly 50 protected acres of adjacent wetlands providing feeding, nesting and resting habitat for more than 120 species of fish and wildlife. The Water Center is part of the Vancouver National Historic Reserve. The Water Center’s general hours are 9 a.m. to 5 p.m., Monday through Friday, and noon to 5 p.m. on Saturday. From Interstate 5 or Interstate 205, take state Highway 14 to Exit 1. Turn south under the highway, then east at the Columbia Shores intersection onto Columbia Way and head east about 3 miles to the Water Center. More information is available on the Internet at www.cityofvancouver.us/watercenter or by calling (360) 487-7111. Information provided by city of Vancouver.